Doctors at a hospital were left stunned after discovering seven needles from the body of a toddler who was in pain. 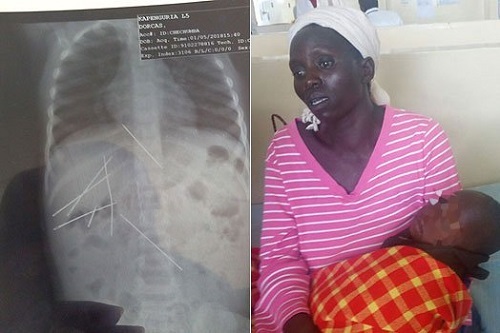 Doctors in Kapenguria area of Kenya were shocked to find seven sewing needles inside the body of a three-year-old child who had been admitted at the county’s referral hospital, according to Nairobi News. It was gathered that the baby was abandoned by her mother because she had been sickly over the last one year. She has been under the care of her grandparents who said their daughter eloped with another man. The shocking discovery was made after an X-ray examination conducted on Wednesday. Five needles are in the stomach and two on her back. Doctors suspect the needles were inserted in the child’s body. They have ruled out possible ingestion. According to her grandparents, the child has been complaining of stomach aches and has been coughing endlessly for the past one year. The grandparents said they could not comprehend how the needles got into their granddaughter’s body. The child from Kangilikwagan village in Kapenguria has been referred to the Moi Teaching and Referral Hospital for surgery. Her tearful grandmother Mrs Emily Ling’aa said she was shocked to see the X-ray images. She said they had taken her to the local dispensary but that her condition had not improved forcing her to travel to Kapenguria. “Chepchumba was born well in a hospital. She has been with her mother but when she started being sickly the mother ran away. I was left to take care of her. I felt some things in her stomach but I thought it was a normal disease or some problem with digestion,” said Mrs Ling’aa. The poor family now says that it has no money for the treatment of the child. “I was shocked to learn of the needles in her body after the x ray and wondered how they got inside the child’s body,” she added. The grandparents said they had been giving the child some painkillers to help her fight the pain. “The mother escaped because the child was sickly. She is now married to someone else. 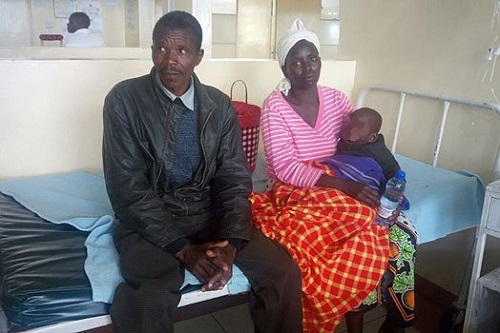 We used to give her pain killers and we took her to Center Kwanza Dispensary .We are stranded and we don’t know where to start from,”said Mr John Chepkokei Ling’aa, the grandfather. Speaking to the press in his Kapenguria office, County Health Chief officer Ibrahim Longolomoi confirmed the case and that the hospital’s administration has reported the matter to the police. 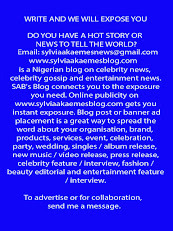 “We are baffled by this and we have sought police intervention. This is mistreatment of an innocent child,” he said. 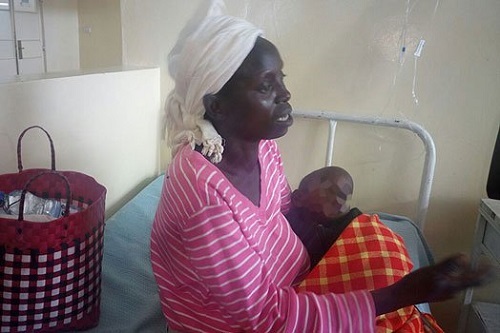 Last year, doctors at the Thika Level Five Hospital were shocked to discover 14 needles lodged in the buttocks of a 10-month-old girl.